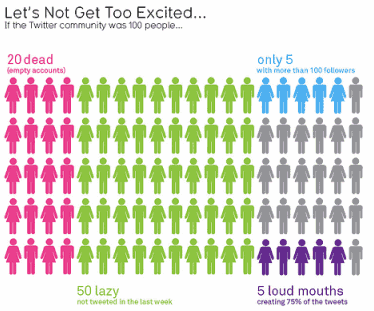 Are you excited about this twitter chart? In this ironically titled “Let’s not get too excited” chart, David shows us how the twitter community is divided. Can you guess what is wrong with this chart? I am stuck with an excel problem and I need your help. 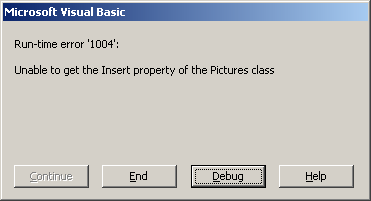 While trying to insert an image in to my excel 2007 workbook using VBA I hit on this weird error and not able to use the ActiveSheet.Pictures.Insert method. Do you know why? In this installment of spreadcheats, we will learn how to use goal seek feature of excel. We will build a retirement savings calculator using excel. We will learn to use Excel’s FV() formula to estimate the corpus that can be accumulated by saving fixed amount every month. The other day while doing aimless roaming on the dotcom alley, I have seen some cool optical illusions. There are so many valuable lessons optical illusions can teach us – chart makers. Don’t believe me? Look at the bubble chart illusion on the left and tell me which orange circle is bigger? What is your answer? Right or left. Well, my friend, the answer is both are of same size. Read the rest of this post to find some cool optical illusions and what they can teach us – chart makers. I have an exciting news for you. Yes, finally we have a forum. A place where you can ask questions, get to know each other and learn more. Read the post to know more. 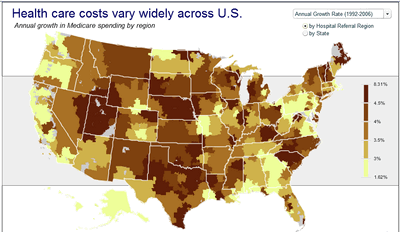 In this installment of Chartbusters, we take a look at a poorly constructed choropleth of medicare reimbursements in US and suggest cure for it. The post is from our Guest Buster – Jeff. 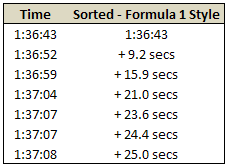 Here is a little formula trick if you need to sum a range of cells based on multiple conditions. Assuming you have the starfleet, captain and flight data, you can use the good old sum() in an array formula to conditionally sum values meeting multiple criteria. Read on to learn this quick tip. 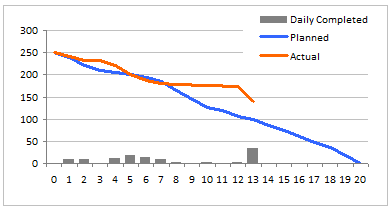 A burn down chart is a good way to understand the progress of a project. It is like a run chart that describes work left to do versus time. 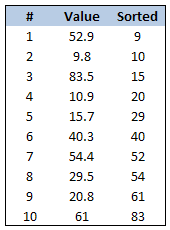 In this tutorial we will learn how to make a burn down chart using excel. This is a bonus installment to the project management using excel series. Learn how to generate invoice numbers, tax codes etc. using Microsoft Excel. In this example we will take a real life example shared by Michelle and findout how we can generate invoice numbers using excel formulas. Read more to learn and download the example workbook. Blame John Walkenbach if you don’t like this post. There, I said it. He started the 14 basic skills for men. And then added 14 basic skills for women. Not stopping there, he went ahead and added 14 basic skills for dogs. 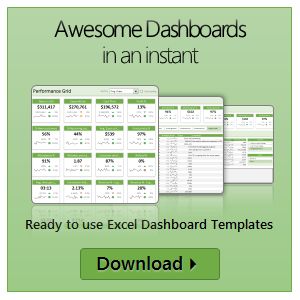 Debra at Contextures blog added her 14 cents by writing 14 basic skills for excel users. I got jittery and quickly searched 14 basic skills for people writing 14 basic skills posts on google. Alas! nothing found. But being the inveterate non-give-upper I went ahead and prepared my list. It is the customer on the phone again, she wants to know what products we have. How cool would it be if we can send her a spreadsheet with all the products neatly listed in a table and she can use filters to find what she likes. Alas, we end up sending a biggish PDF brochure that is both difficult to make and maintain. Today we will learn a very useful and fun trick in Excel. We will create a product catalog using Excel that you can send to your clients or boss (and impress them). Learn how to create a timeline chart in excel to display the progress of your project. Timelines are a good way to communicate about the project status to new team members and stake holders. Also, download the excel timeline chart template and make your own timeline charts.